Photo of Siano by Leon Laing. Harrisburg-based crooner Siano performs earlier this year at Shane’s City Limits in Hummelstown. 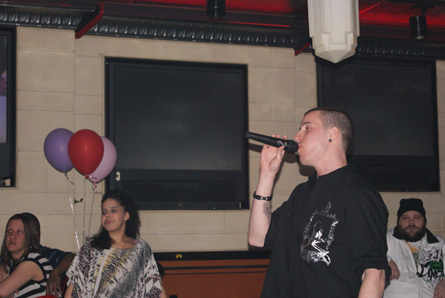 Siano and his former group Charm Sitty opened up for Jaguar Wright in November 2008 in Grantville. Charm Sitty consisted of singers Siano, Sincere and Lucky.